This is a calligraphic treatment of the words Laudate Dominum (Praise the Lord) that begin the 116th Psalm. 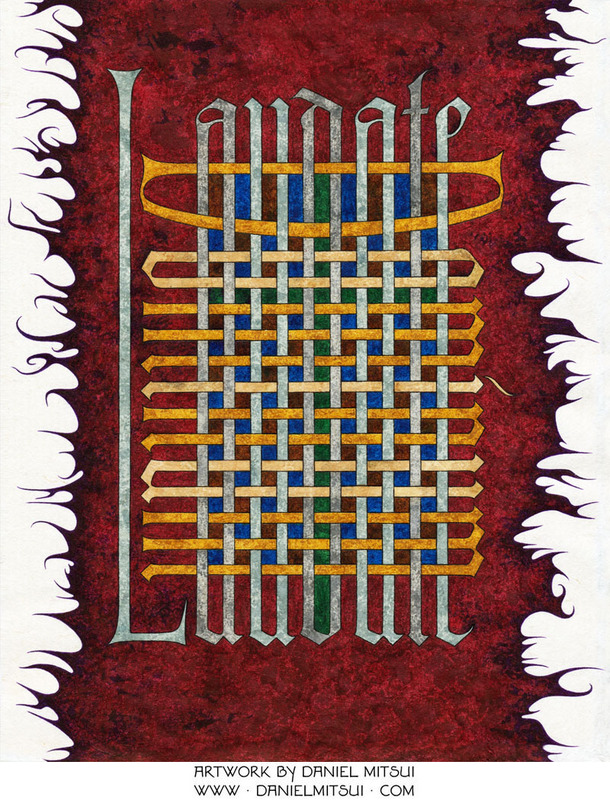 I wrote them in an extended blackletter script, the two words weaving into each other at right angles. An open-edition giclée print of this drawing is available for $75. You may use the button below to pay via PayPal, debit card or credit card. Be sure to confirm the shipping address.